M151 Fuel Hose Assembly with fitting on both ends. You need one hose if you have an M151 or M151a1 & two if you have a M151A2. 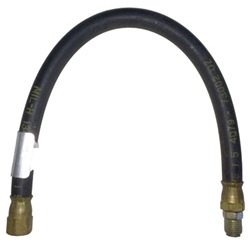 NOTE: If you have a M151 or M151A1 with an inlet filter then use the hose show below in related items.